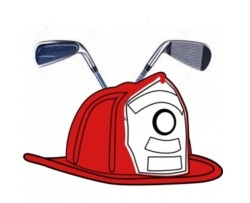 Upper Allen Fire Department » Blog Archive » 2018 Golf Tournament is Accepting Golfers!!!! 2018 Golf Tournament is Accepting Golfers!!!! UAFD 13th Annual Golf Tournament is new ready for registration of golfers for this event. This year we are hosting at a new location (Rich Valley Golf) and a new starting time of 1:00pm registration and shotgun start at 1:30pm. We will have lunch for everyone when you arrive and a nice dinner at the end of play. If you want to attend and support and play please email your home address to jsalter@upperallenfire.com so that you can be mailed a registration form. This entry was posted on Wednesday, August 15th, 2018 at 1:00 pm. You can follow any responses to this entry through the RSS 2.0 feed. 2019 Hacc Training Catalog New!